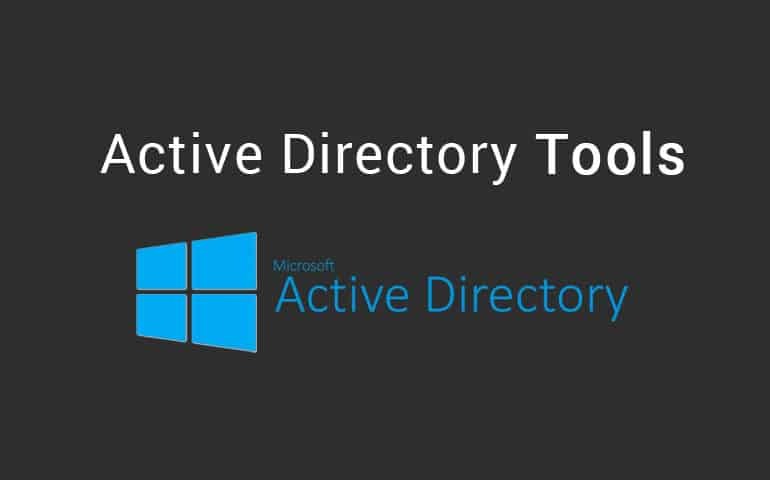 We've compiled a MASSIVE List of the Best (and Free) Active Directory Tools for Windows admins that will help with any of your Auditing, Reporting and Management needs. We've gone through this list and will update it as more tools become available or become obsolete, as not every software manufacturer updates their tools for the latest version of Active Directory (2003, 2012 & 2016). Many of the tools below have very basic and limited functionality, as some, if not all, Are Completely FREE! Yes, you won't need to buy a majority of the software below unless you want some premium features that some of them require payment for, but they work nonetheless without Upgrading. 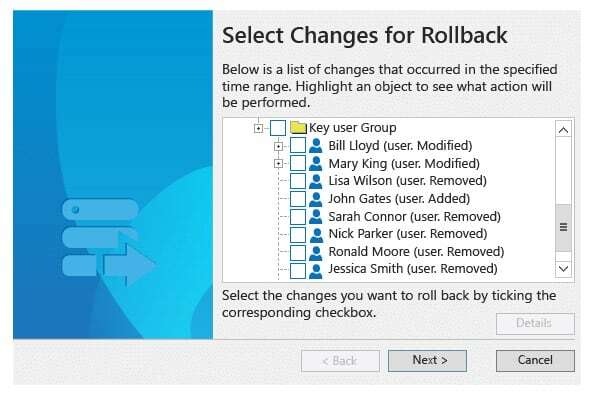 NetWrix Restore AD Users, Groups and More. 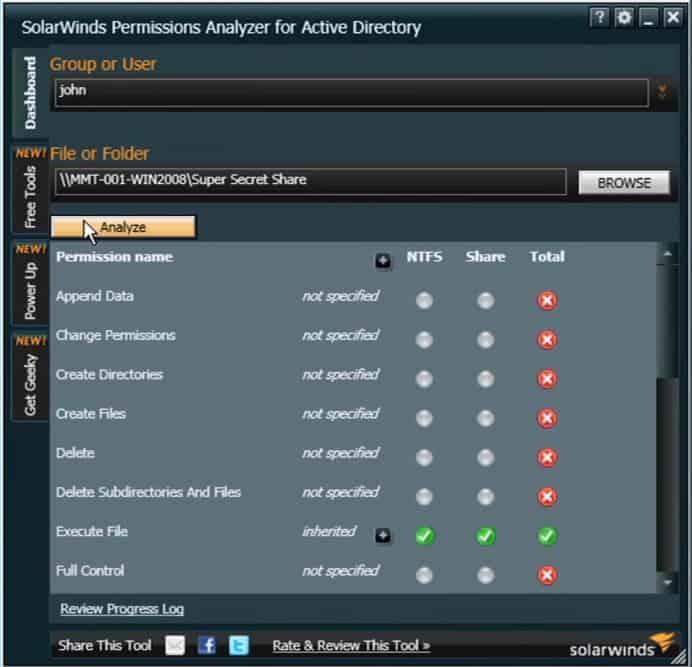 Solarwinds offers a Truly Free Active Directory Users and Computers permissions analyzer, allowing you to browse and identify with groups and users have which permissions. Also, you can see the breakdown of inherited permissions of each user by their group membership. 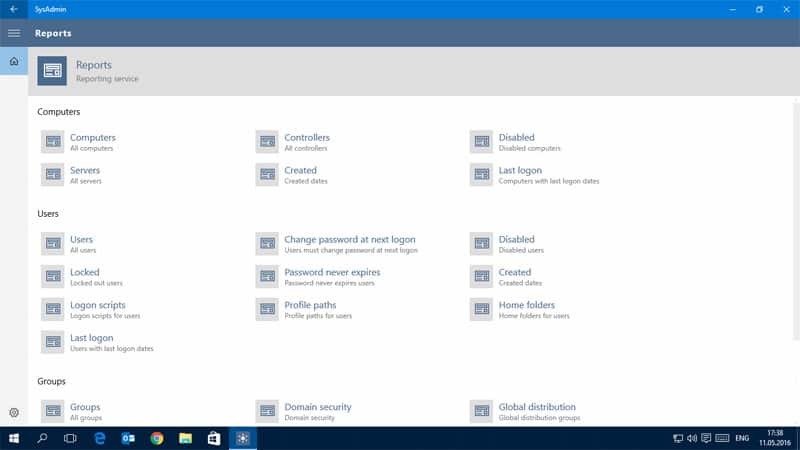 Each utility has its own function which allow you to quickly Remove Inactive Active Directory USER Accounts and Computer accounts. They each have a friendly and easy to use Graphical Interface and come in very handy without having to log into your Domain Controller. 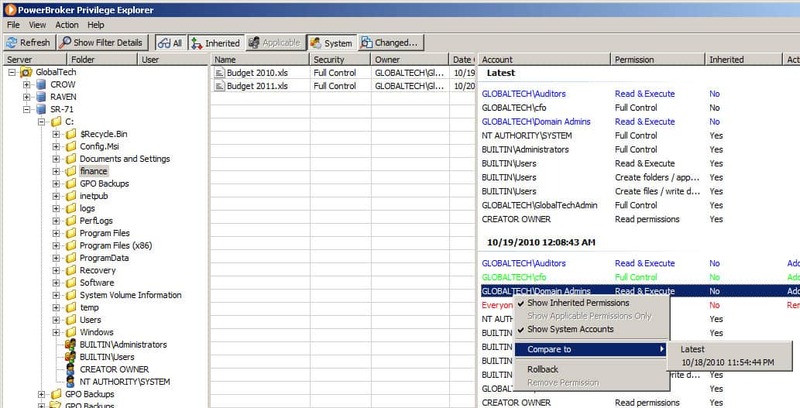 Admanager Plus gives you the ability to manage AD Objects, users, Groups and much more from a Centralized GUI, along with options of generating extensive reports of Active Directory. 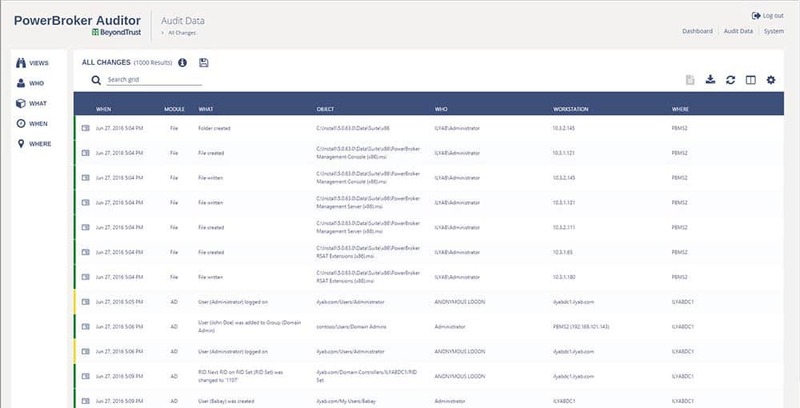 Features include not only Active Directory user management, but Real Last Logon Time Reports, Bulk User management and Group & Computer Management capabilities. 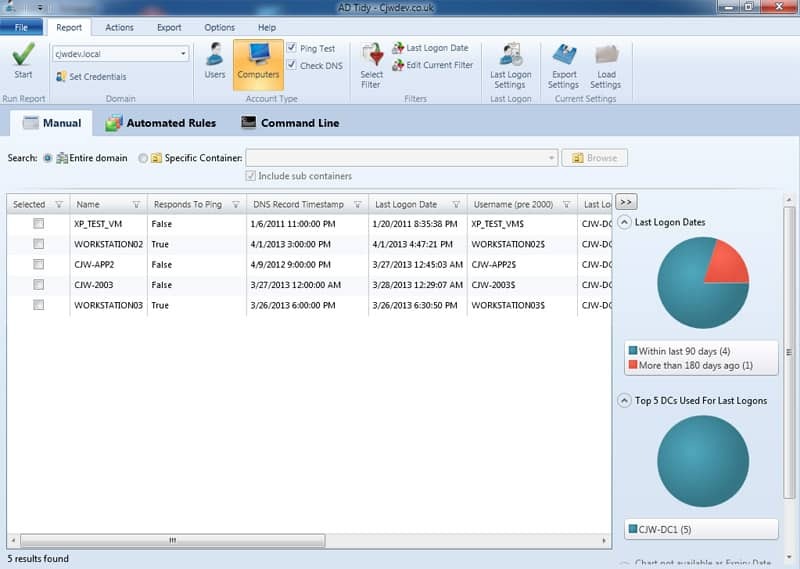 MaxPowerSofts' Free offering allows you to load up to 200 objects from Active Directory, along with User Reports, Group and OU Reports, Computer Reports and GPO reports from within their program. 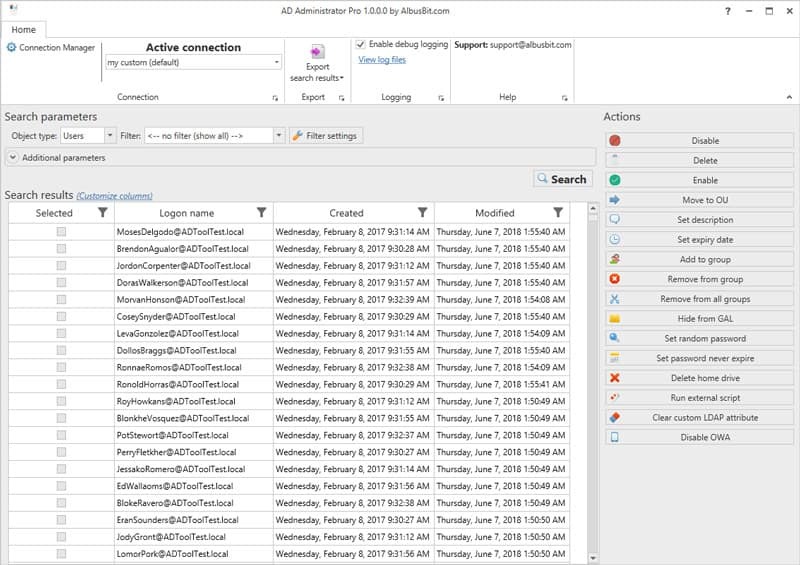 AD Tidy helps your search and find Inactive Users from ADUC as well as Dormant and Inactive Computer Accounts as well to minimize any possibly security issues. SpecOps GPUPDATE software gives you the power to remotely administer a Single Computer or Multiple Computer accounts from Active Directory. Options include Refresh Group Policy Remotely, use WSUS to confirm Updates Remotely, Remotely Wake-Up Computer using WOL (Wake-On Lan) features and Remotely Shutdown/Restart PC. ADModify.NET allows you to bulk modify multiple user Attributes at the same time. SpecOps Command utility allows you to administrate Computers and Users within your network and run VBScripts or PowerShell scripts using Group Policy quickly and ensure all feedback is received at the utility. Features include Scheduling scripts to run at certain times and how often to run as well as web-based Reporting of feedback from scripts that have run. AD Photo Edit allows you to import and Upload images to an AD attribute that Outlook 2010 Displays, as well as Lync and Sharepoint. 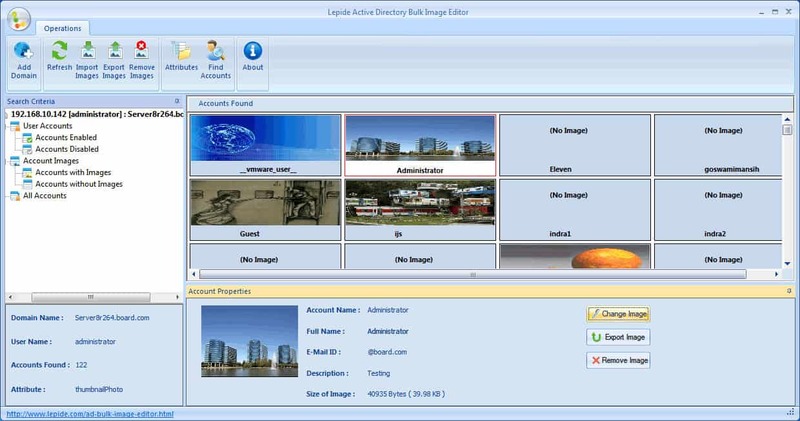 Free version allows you to view existing images for Users and Contacts in active directory, Export Images, Remove Existing Images, Upload New images, Rotate/Resize/Adjust Quality of Images and much more. 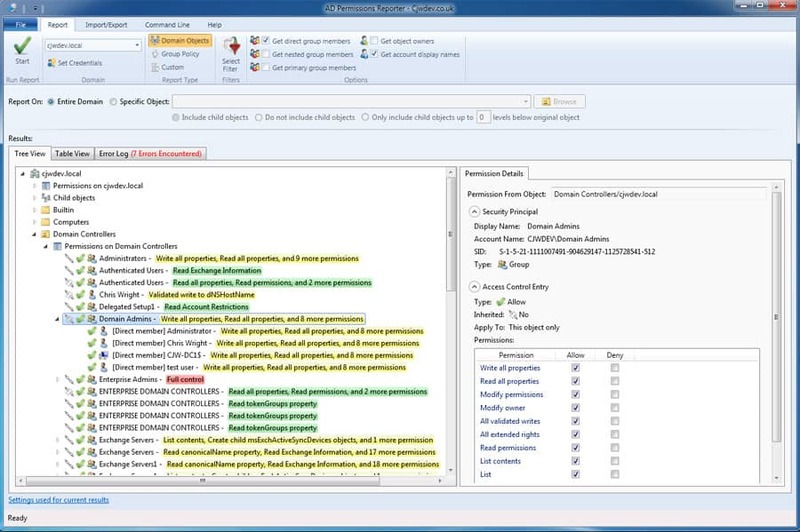 AD info tool comes with 190 different pre-built reports that allows you to query a large number of attributes including Users, Computers, Contacts, Organization Units, GPO's, Printers and more! One of the benefits of this is you can run this program without Domain Admin privileges. Export your query results to CSV and query any domain you have access to. Ad Query is a Free executable tool (no install required) that can be used to easily and quickly search Active Directory for information regarding a User or Computer for specific information. You can search ALL data from Schema, LDAP and Exchange mail-enabled objects within your AD. Recovery Manager for AD from Quest gives you the ability to recover any objects from AD without having to restart the Domain Controller. This includes restoring objects from Users, Attributes, OUs, Computers, Subnets, Group Policy Objects, and more. SysadminAnywhere is a great Active Directory Tool for Windows 10 that has a long list of features for AD Administration and Management. Some features include Resetting Users password, Add/Edit/Delete Objects in AD, Add Photos, Restart/Shutdown Computers remotely in AD, Check for Updates and Monitoring Hardware and Computers (CPU, Drive, Memory, HTTP, ping, Services, Events). 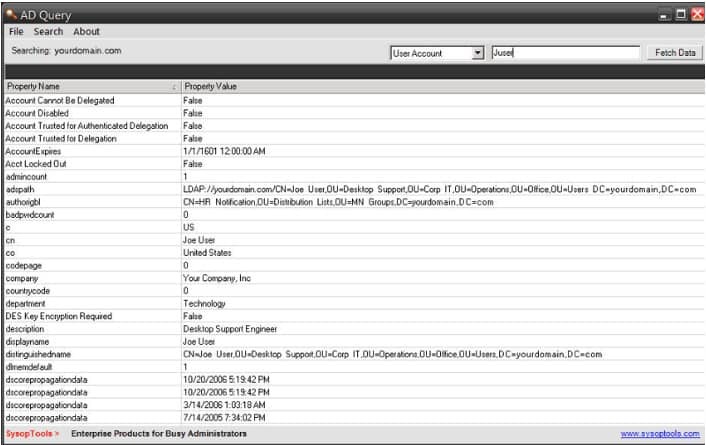 PowerBroker is an all encompassing tool for Active Directory that allows admins and organizations to keep their AD locked down tight and have a firm grasp of whats going on inside their AD environment in order to meet PCI, SOX and HIPAA compliance. This is done through audits and alerting of AD configuration and changes in Real-time so you know exactly what is changing and how it effects your compliance and whether your at risk or not. This little utility helps you configure Managed Service Accounts using a easy GUI interface and without the need of Powershell or any PS commands. This utility cuts out the need to run 3 separate commands via Powershell and helps you create/delete new and Old Managed Service accounts with the click of a button. This topology mapper/diagram tool reads AD configurations and automatically Creates a Visio file of your AD topology using LDAP and maps out your entire Active Directory and Exchange Server Topology automatically within a easy to read Visio Diagram. 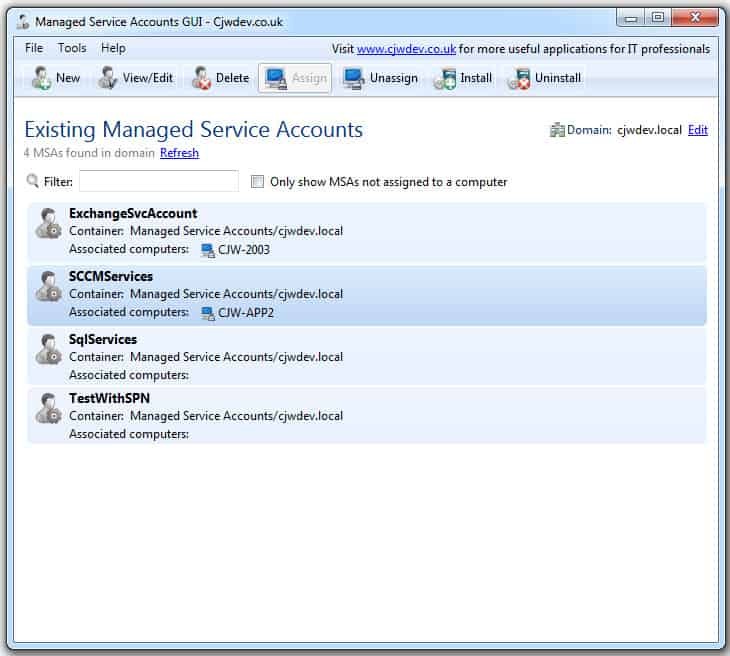 ManageEngine offers several Great utilities for managing Active Directory – including the following tools that can be found at the URL below: AD Query Tool, CSV Generator (generate a csv file from any AD Attributes), Last Logon Reporter, Active Directory Replication Manager and Many more! Check out their Full list of tools at the link below. 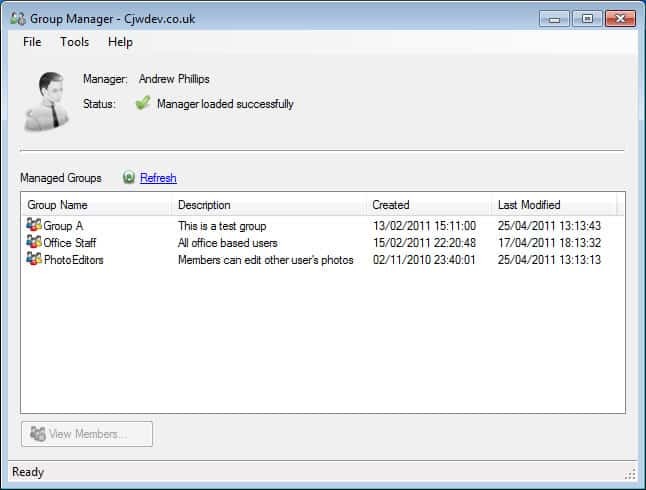 This tool allows a user that is assigned as a Manager of a group to manage members and settings of that given group including adding and removing other users and exporting group member to a CSV file. You additional configuration is required, the utility will automatically detect which groups you are a Manager of and allow you to make changes as necessary. This LDAP Browser is lightweight tool that supports Read-Only of your LDAP infrastructure and allows you to View, Browse, Search and Export information from LDAP. This Health Scanner from Microsoft is specifically targeted towards Admins and Engineers who want to get an Overview of their current Active Directory Health by scanning it for Problems and inconsistencies.This tool is great for scanning your network infrastructure and pinpointing issues that could cause your AD from functioning correctly. You must be a member of the Domain Admins group to run this utility. 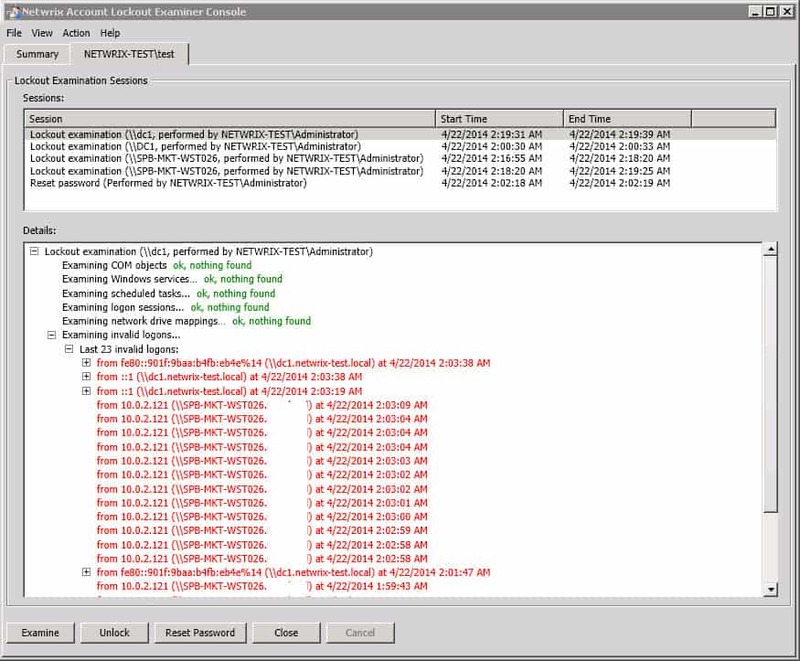 Netwrix Restore tool helps your recover and restore deleted Active Directory objects with 3 Steps – Identify the Day/Time that you want to Restore back to – Select the Recovery/Rollback Source (either AD Tombstone or Netwrix Snapshot) – and Lastly choose the Changes you want to Revert back. You have the ability to restore AD Deleted objects and if necessary, revert back to previous time periods if you made the wrong changes. AdRestore.NET is a GUI version of the ADRestore command line utility. AdRestore enumerates all Tombstoned objects in your Domain and gives you the option to restore them individually as needed per your selections. This was all done through the command-line, until recently Guy Teverovsky created a GUI version of the program for those not comfortable or familiar with the command-line version. 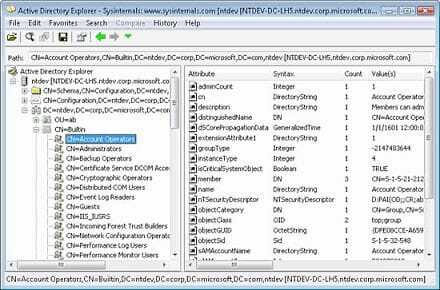 AD Explorer is an Advanced Viewer for searching, editing and viewing Active Directory objects and properties quickly and easily without having to drill down into each object individually. You can even create snapshots of AD to view offline if you would like to work off a snapshot rather than AD live. ADMX Migrator is a Easy to Use GUI that comes in the form of a MMC Snap-in for converting your existing GPO ADM templates to the new ADMX file format. Privilege Explorer is a utility that automates the process of Active Directory file permissions by analyzing and reporting on permissions levels. This program brings automation to permission analysis and reporting to one central location and assists with compliance and intrusion detection, as well verifying that all permissions are tight and minimizing excessive permissions for unauthorized users. 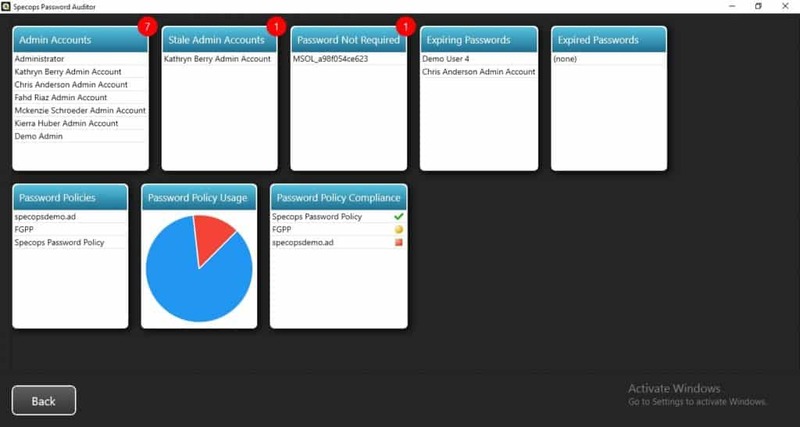 Netwrix Account Lockout Examiner does just what it says in the name – It is a Freeware utility that alerts IT personnel when an account has been locked out of Active Directory and allows you to unlock the account from within the GUI of the tool or your mobile device quickly. 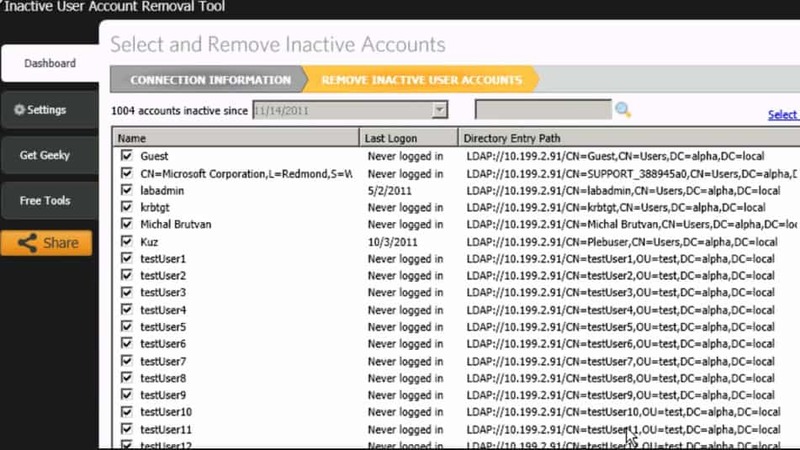 This tool also does exactly what it says – automates that process of finding and locking down Stale or Inactive accounts in ADUC and helps you mitigate any risk of those accounts becoming compromised and being used for malicious activities. Active Directory Replication Status utility is a tool that helps your analyze the Replication of Domain Controllers in your network to ensure that replication is actually replicating. This tool helps you pinpoint with domain controller has errors and which ones are not replicating correctly. AD permissions reporter is used for extracting all permissions from within your domain for every object. You can additionally filter down certain objects or permissions you would like to analyze to get an understanding of their permission levels. 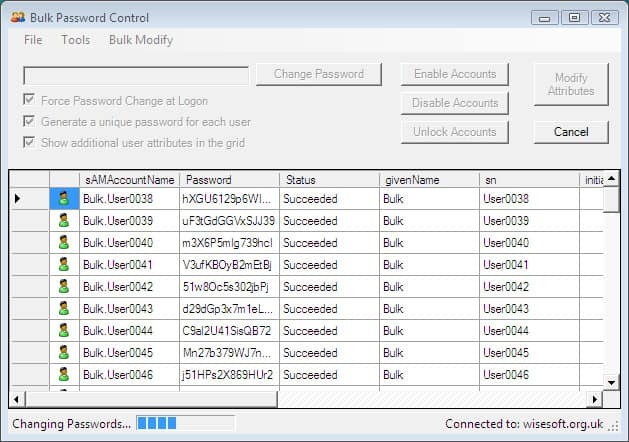 As the name of the software implies, this utility allows you to change passwords on Multiple/Bulk accounts at the same time using their Password generator feature. You can also use the same password for every account if needed as well. Additional features of this utility include enabling and disable active directory accounts in bulk, as well as Unlocking them in bulk. 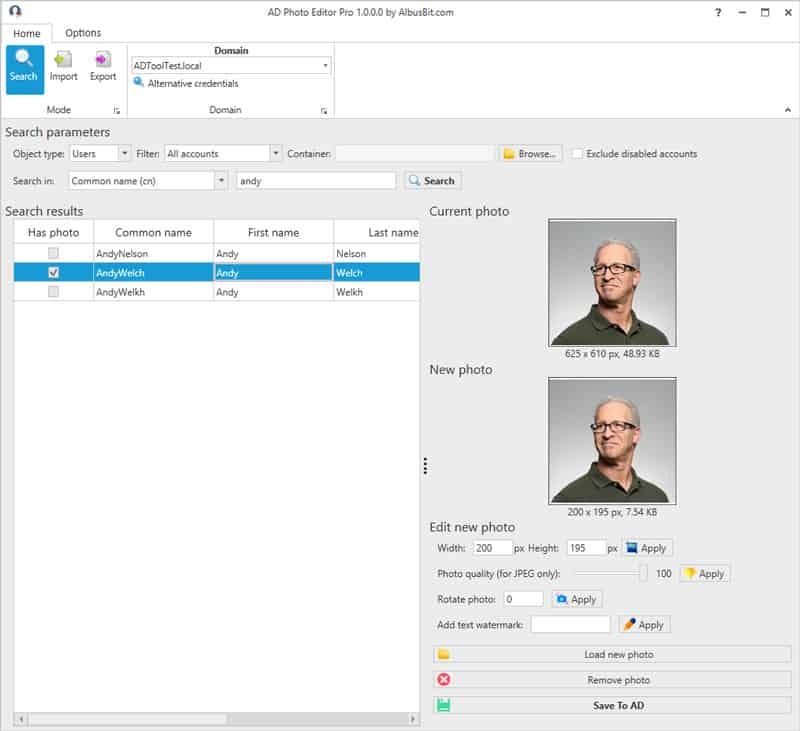 Bulk Image Editor gives you the flexibility of uploading and managing images for Active Directory “thumbnailPhoto” and “jpegPhoto” attributes on the fly – and FREE! You can also display images from all accounts, export existing images, upload images in bulk using the SAM or common name of accounts as well. 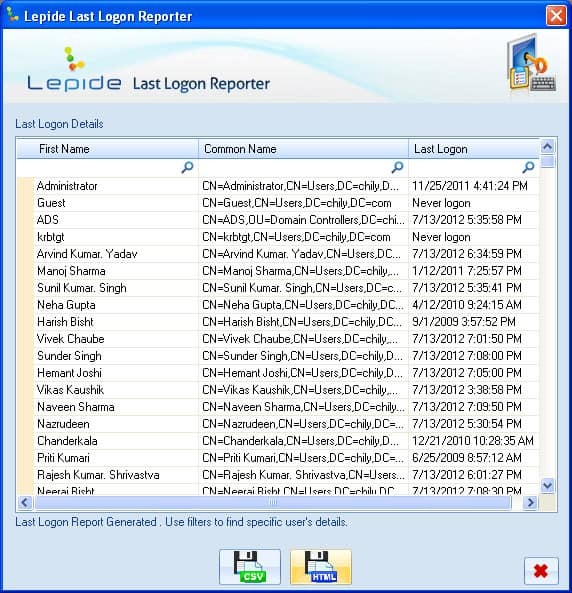 Extracting Last Login information for Active Directory Users is Easier than ever with Lepide's Last Login Report tool – you can easily display information about users and their last Login time in bulk and export if necessary to CSV or HTML format for further processing. You can also search individual login times and dates by searching any column for specific information. 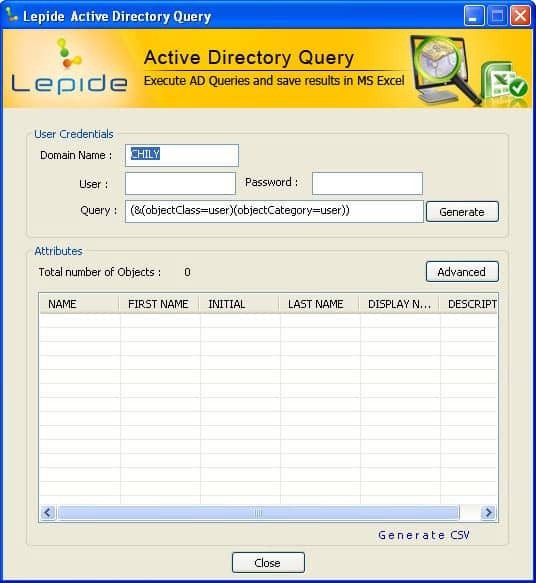 Easily query Active Directory to get detailed information about users and objects with Active Directory through this easy, GUI based utility. You can further export data to a CSV file and get individual reports as necessary. Specops Password Auditor is a free tool that scans Active Directory to detect password and privileged account security vulnerabilities. These insights can be used to reduce attack surface or maintain compliance. Specops Password Auditor will only read information from Active Directory, it will not make any changes. It will read the Default Domain Password Policy and any Fine-Grained Password Policies if it’s run by a user with administrative privileges in Active Directory. AD FastReporter by Albusbit is a tools that assists you with Generating reports on your AD infrastructure. They have pre-built reports that allow you to quickly run a report without much effort and output information that your looking for fairly quickly. Ad FastReporter utilizes a built-in Local database so there is no overhead or stress on your AD infrastructure when running reports and storing them. 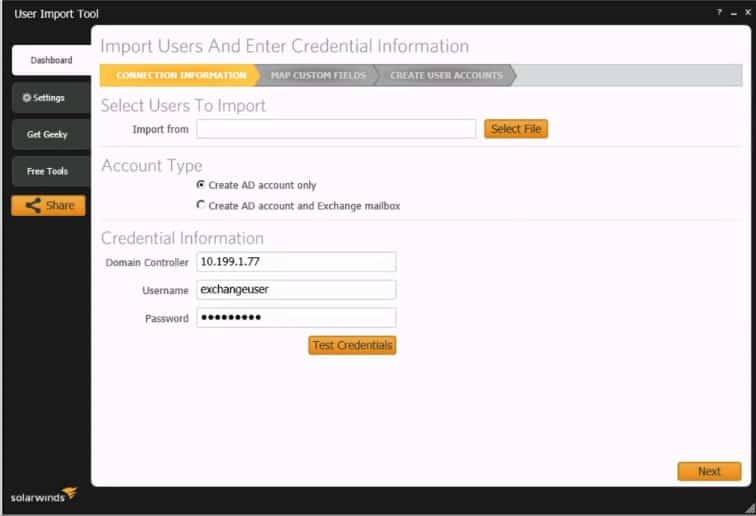 They also give you the option to export reports to CSV, XLSX, and HTML and send reports via Email as well! 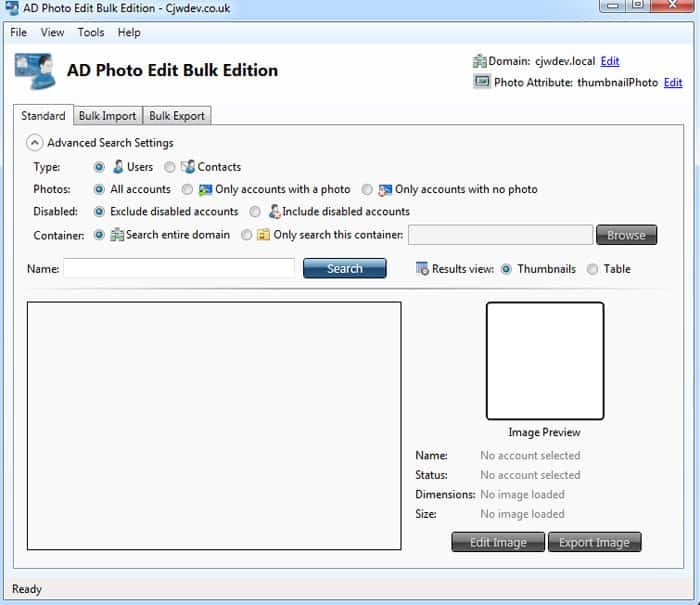 AD Photo Editor from Albusbit.com allows you import/upload custom images for Active Directory User and Contacts as either thumbnailPhoto or jpegPhoto attribute. There are 2 Version of this software – a FREE Version and a Paid version. The Free Version allows you to Find Accounts and Upload/Edit Photos within AD and the Pro Version allows you to Bulk Import/Export Photos to and from Active Directory! On top of all those benefits, you can also adjust and modify images at upload, including Changing Dimensions, Rotate AD Images, Change Quality (compression) of Images and Add Watermarks to AD images as well. This program really does have a quite a few features that should Cost something, but in all reality is FREE! We definitely like the value in this AD tool! 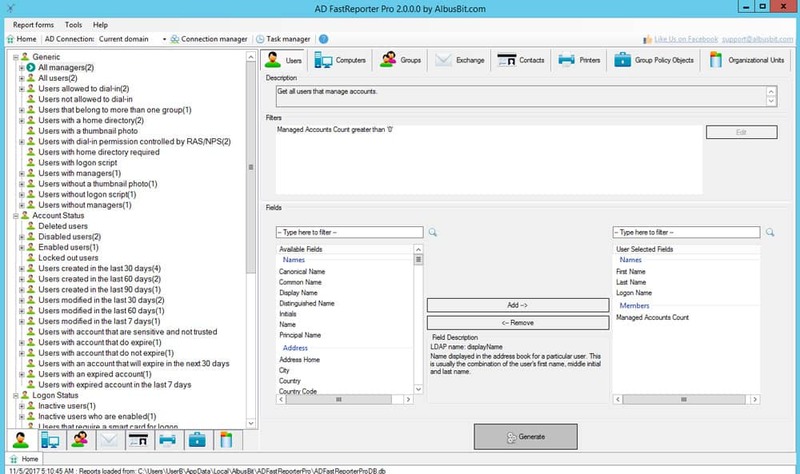 AD Administrator tools from AlbusBit was built with the sole purpose for quickly managing AD Users/Computers for a single interface. 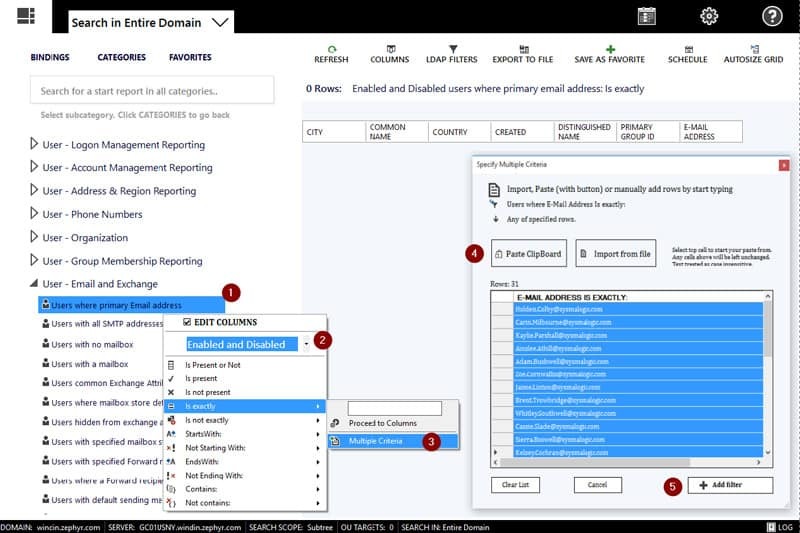 This is great all-in-one tool for managing AD Users and Accounts from a centralized location and gives you the ability to manage multi-domain environments as well! We recently reviewed Symalogic AD Report builder here and wanted to add this software on this post as well, as they have a FREE Version that gives you some great features to use without having to upgrade to the full version. This tool helps you audit Active Directory for Compliance as well as give you insights and reports into your AD infrastructure, Computers/Users and OU's! Grab a Free Download from the site below to get started!